MOUNT VERNON, Wash. – Color, flavor and aroma will highlight the free, public Small Grains Field Day 3-6 p.m. Thursday, June 25, at the Washington State University Mount Vernon Research Center, 16650 State Route 536 (Memorial Highway). 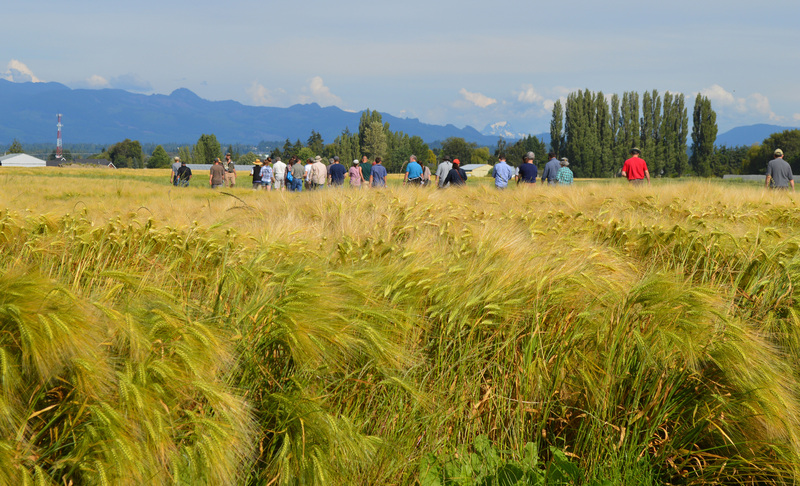 The annual event gives the community a chance to network and learn about the latest small-grains research and how it impacts the economy in the Skagit Valley and beyond. “Much of the research we’ve been doing reflects a renewed interest from breeders, growers and consumers in heritage grains and regional wheats that can add distinct flavor, character and nutritional value when incorporated into whole-wheat products,” said Steve Lyon, senior scientific assistant for the WSU Mount Vernon plant breeding program. Small grains include wheat, barley, oats and the pseudo-cereal grain buckwheat. The field day will highlight the latest varieties specifically bred for and adapted to the mild marine climate of the Pacific Northwest. “What is unique about these lines is that before one is released to the public, it will not only excel agronomically but must make a high-quality, flavorful end product,” Lyon said. 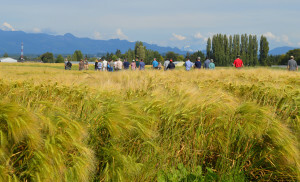 Visitors walk past a field of Alba barley during a tour during the 2014 Small Grains Field Day. In the WSU Mount Vernon Bread Lab, testing is taken to the next level to determine the qualities of local small grains that make them desirable for milling, baking and malting. 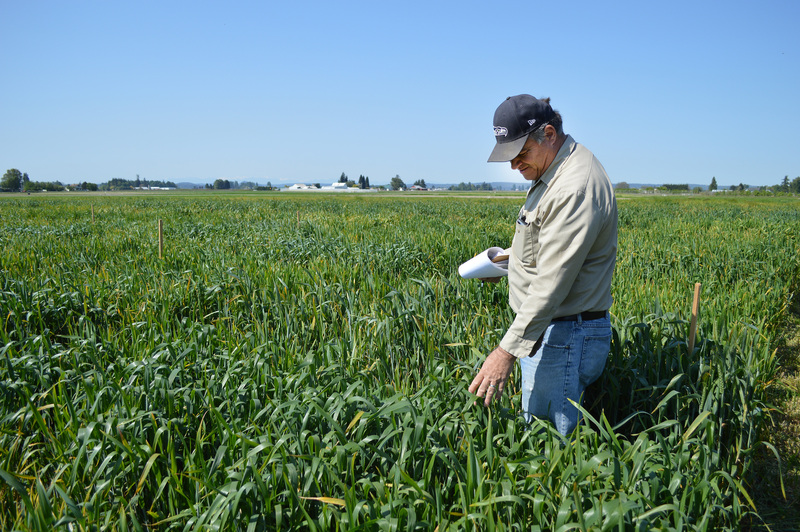 “Whether we’re developing seed for farmers, amassing knowledge among researchers or opening new niche markets for millers, bakers and maltsters, we are working together to build sustainable, high-quality, high-yield, disease-resistant small grains production in the Northwest,” said Lyon. 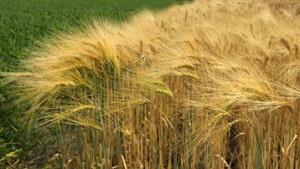 Find more information at http://www.thebreadlab.org/plant-breeding-home/.